Calling all Potterheads, this is going to be the best Christmas present you’ve received in years! Ever since we knew about the existence of Wizarding World Of Harry Potter, most of us could only dream of setting foot in that bewitching universe to live like the magical folks. Now, it looks like muggles like you may have the chance to do that, after all! 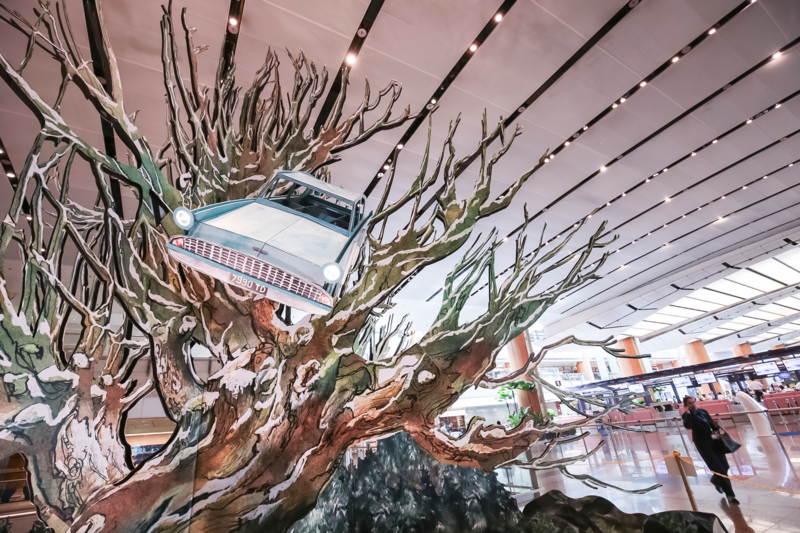 Although it’s not exactly the entire universe, you can experience bits of that wonderful world at Changi Airport! Dive into the world of magic and wizardry set to enthral and captivate fans of the highly popular Harry Potter and Fantastic Beasts series. 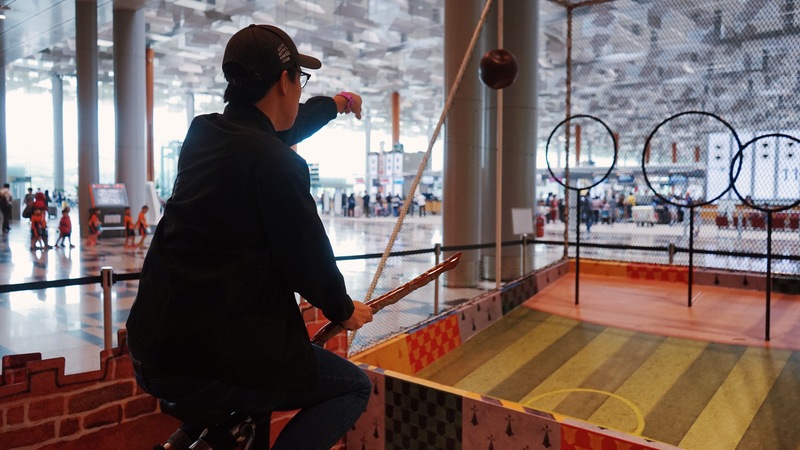 Changi Airport is bringing the Wizarding World to you starting from 16 November 2018 up until February 2019. 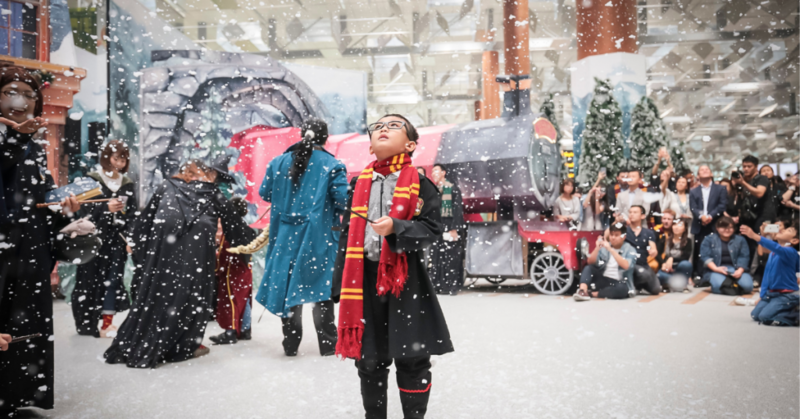 They have stunningly recreated various iconic scenes from the magical world of Harry Potter as part of their Christmas decoration. A Harry Potter-themed Christmas? Wicked! Spellbinding activities await at Hogwarts’ most famous shopping street Diagon Alley. Take a stroll down this town as you relive the very first time Harry bought his wand at Ollivanders! Think you have what it takes to be the best Quidditch player? This is your chance to put your theoretical Quidditch knowledge to the test. 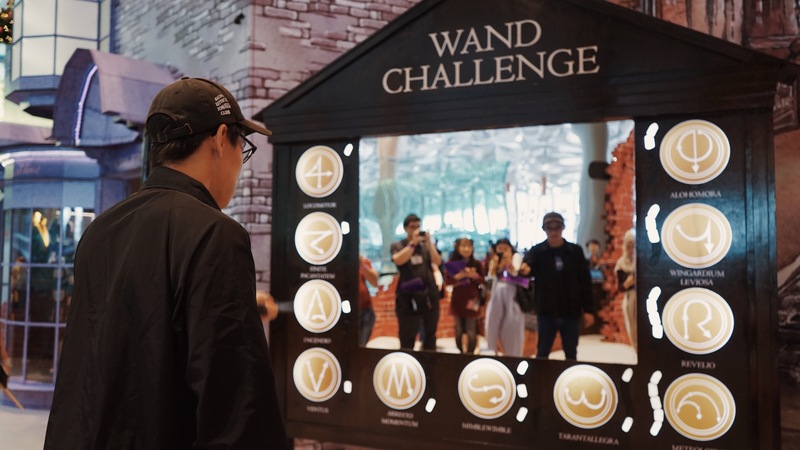 Put your wand skills to the test. Have a go at this at spell casting games at this station! Remember, it’s LeviOsa, not LevioSAR. Always wanted to get fitted into the iconic Hogwarts robes? Well now you can! 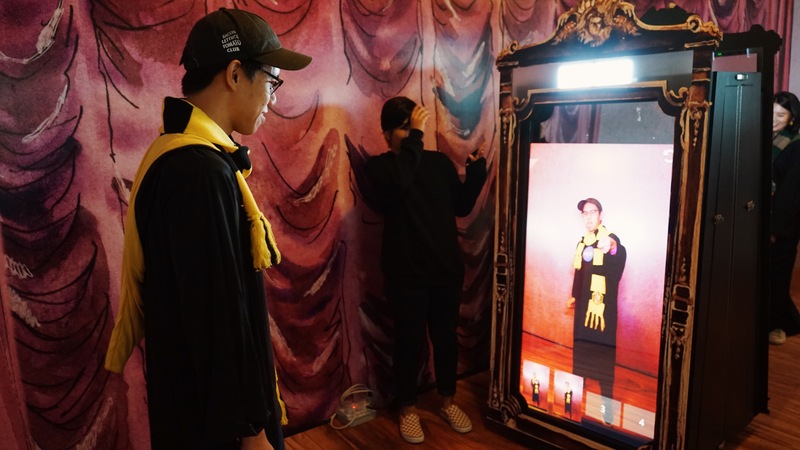 All you have to do is pick your favourite Hogwarts house’s robes and snap a photo in front of the Magical Photo-Taking Mirror for a nice photo op. Challenge your opponent to a stacking game. 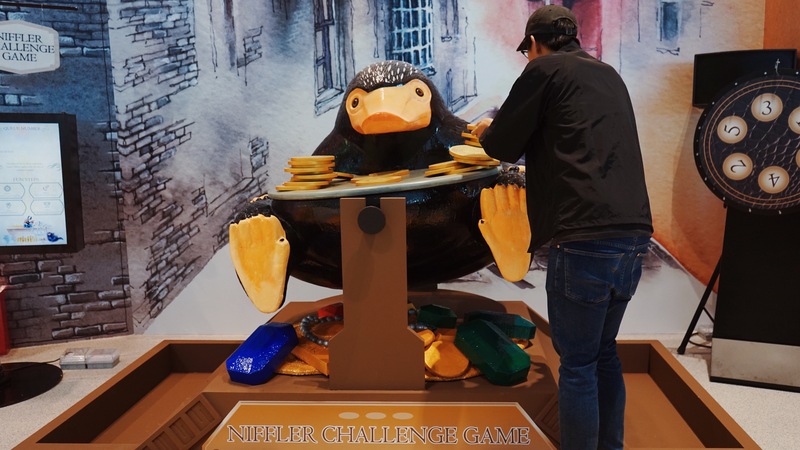 Stack as many coins as you can on top of the Niffler’s statue without toppling them over. 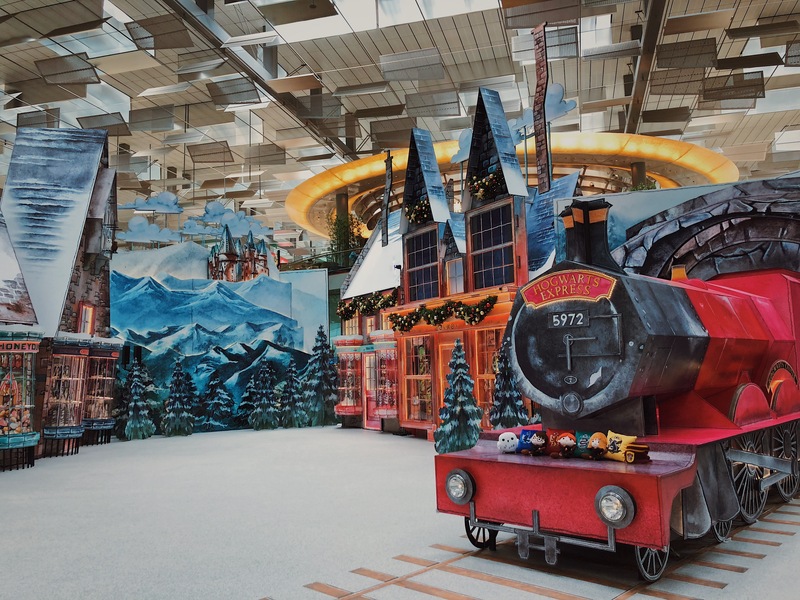 Don’t forget to get your hands on exclusive Harry Potter merchandise including plush toys, scarves and travel pillows, available exclusively at Changi! This is our favourite set, hands down. Strike a pose in front of Hogsmeade’s iconic stores or take a picture against a life-sized version of the Hogwarts Express. If you’re there at the right time – you might just catch a snow and light show that will last till 6 January 2019! It’s the most magical thing you’ll ever experience this Christmas. Remember when Harry and Ron crashed the iconic Flying Ford Anglia into the Whomping Willow? You definitely wouldn’t want to miss the perfect photo op at this iconic scene from Harry Potter and The Chamber Of Secrets. Travelling out of Singapore soon? You wouldn’t want to miss the opportunity to soak in this magical world with other Potterheads just like you. BRB, wearing my Slytherin robe to Changi Airport now!